Coaching in the National Football League is a high-profile, highly-paid career field that comes with truckloads of pressure and very little job security. And in reality, when you sit down and really think about it, it’s hard to understand why anybody would want a life with that kind of uncertainty. Every move that these coaches make gets met with scrutiny from the media, their bosses, their fanbases, and practically anybody who follows the game of football. Yet coaching at the game’s highest level remains the pinnacle of the coaching industry and likely always will. As we inch closer and closer towards the start of training camps and eventually the regular season, we have a pretty idea as to which head coaches around the league everyone will be watching in 2016. Here’s what we came up with. Bills owner Terrence Pegula has made it clear that Ryan, who has one of the most polarizing personalities the league has ever seen, and General Manager Doug Whaley have one more season (2016) to turn things around in Buffalo or they will face the chopping block next offseason. On a similar note, Ryan has also gone on record saying that the job in Buffalo will be the last coaching job of his career. With that being the case, practically anyone who follows the NFL will be closely monitoring the Bills’ situation in 2016, as this could ultimately end up being Ryan’s final season roaming the sidelines. Kubiak led the Broncos to a Super Bowl title in his first year on the job in 2015, and while that accomplishment alone will result in the 54-year-old coach being one of the most scrutinized coaches in the league this season, his team’s success from last year won’t be the only factor that will have people watching Kubiak’s every move. The Broncos also have arguably the most uncertain quarterback situation in the league — not only will Kubiak have to decide who to start under center against the Carolina Panthers in the NFL season opener, he will also have to decide when the time is right to take the reigns off of first-round draft pick Paxton Lynch. And if that weren’t enough, the Broncos are slated to play at least five prime-time games during the 2016 regular season. Simply put, O’Brien and the Texans have no excuse not to contend in the AFC in 2016. After going on a massive offseason spending spree that netted them players like quarterback Brock Osweiler, running back Lamar Miller, and offensive guard Jeff Allen, Houston should finally have a competent offense to go along with their potentially dominant defense that will again be spearheaded by All-Pro defensive end J.J. Watt. 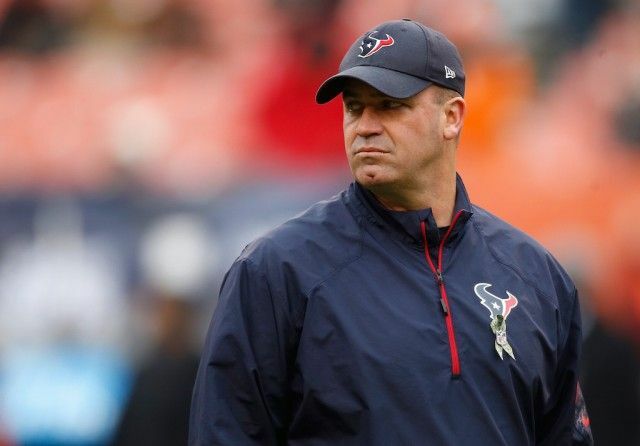 As a result, all eyes will be on O’Brien to see if the 46-year-old coach can effectively lead the Texans on a deep postseason run in his third year on the job. During his time with the Philadelphia Eagles, Kelly performed practically every aspect of his job as an NFL head coach in direct opposition to the prevailing (or conventional) wisdom. He ran his players rugged in practice, he chased off and cut ties with the best veteran players on his team, and the vast majority of his personnel decisions made very little sense. Surprisingly, the 49ers have given Kelly a second chance at being a head coach at the NFL level, and even though most people (us included) are expecting the Niners to struggle mightily in 2016, there is no doubting that things will be worth watching with Kelly running the show. Belichick’s inclusion on this list is fairly self-explanatory and for lack of a better phrase, it qualifies as a no-brainer. The Patriots will serious Super Bowl contenders again, and anyone with any kind of interest in the NFL will be watching to see how the four-time Super Bowl champion coach handles his team while his best player, quarterback Tom Brady, serves a four-game suspension to start the season. With his job on the line, Gruden led the Redskins on a surprising run to the NFC East title in 2015. This year, the Skins won’t be able to sneak up on anyone, though, and it may not matter as they have quietly put together one of the better rosters in the NFC. Their offense suddenly has a lot of firepower (see Kirk Cousins and his slew of targets — DeSean Jackson, Pierre Garcon, Josh Doctson, and Jordan Reed), and the addition of Josh Norman gave their defense a major boost. And Gruden will be counted on as the man who is in charge of managing several super-sized egos and ensuring the Redskins are a cohesive unit in 2016. In his three years as the head coach of the Jaguars, Bradley has compiled an overall record of 12-36. And if that trend doesn’t change in 2016, Bradley will likely find himself unemployed next offseason. Fortunately for Bradley, he now has one of the most talented young teams in the league. While they are still quite a ways away from being Super Bowl contenders, the Jaguars are undoubtedly talented enough to end their eight-year postseason drought in 2016. If they don’t make the AFC Playoffs or at least come close to doing so, they will likely have a new head coach in 2017.